We have been making a conscious effort toward more ethical eating – especially in terms of fewer animal products with those that we do eat coming from sustainable and humane sources. We also avoid any processed foods. As my health has required me to eliminate both sugar and gluten, the no-processed foods decision was a very easy one to make. 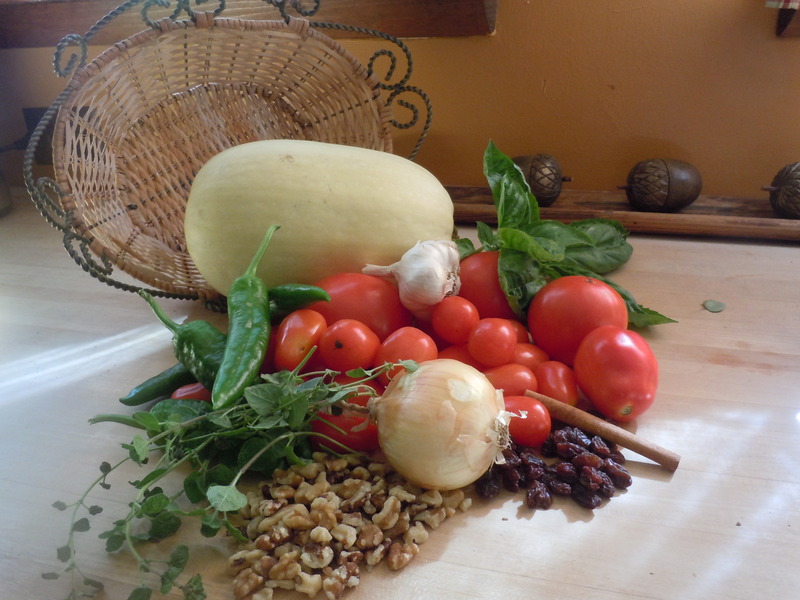 Finally, the fact that we are gardeners and that we both love foods prepared from fresh vegetables is the main source of many of our recipes. 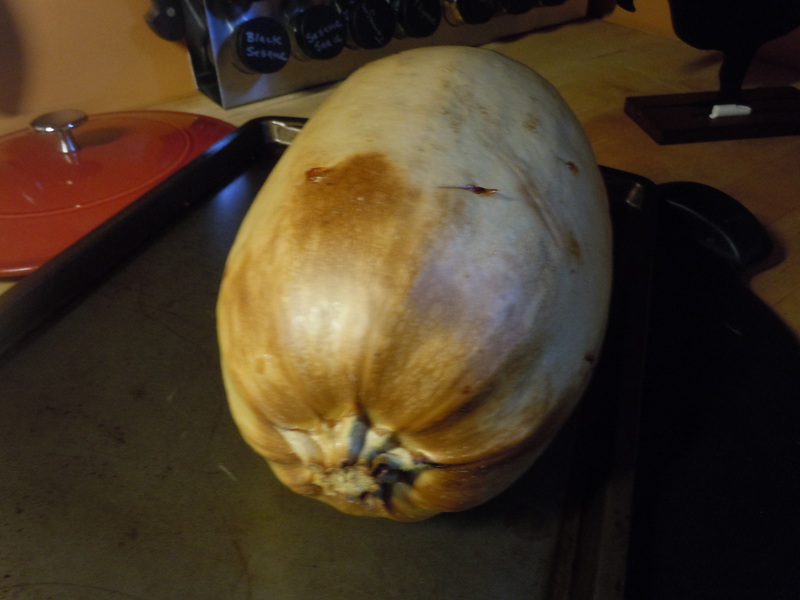 I large spaghetti squash, baked, halved, seeded and shredded. 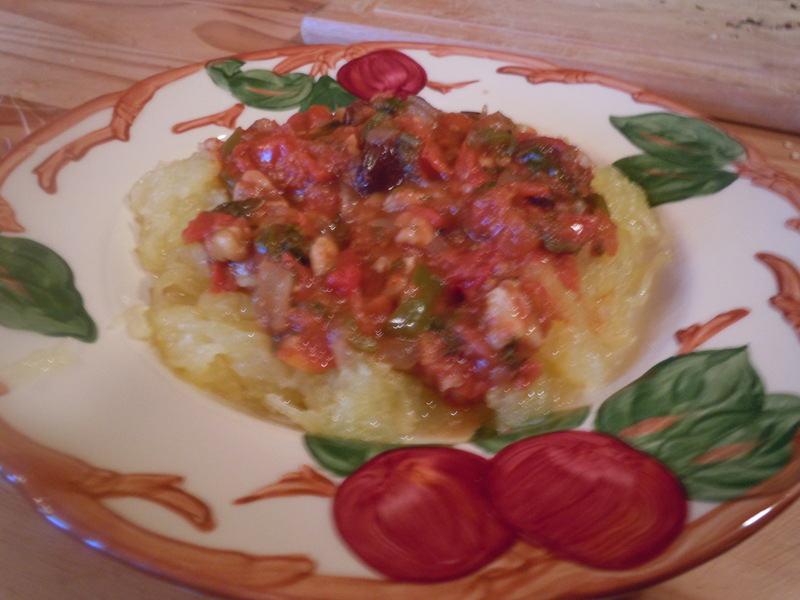 The easiest way to cook a spaghetti squash is whole. Pierce the flesh about a dozen times with the tip of a sharp knife (to keep in from exploding in the oven). Place on a cookie sheet and cook at 375 for about an hour and a half. Let it cool enough to handle. 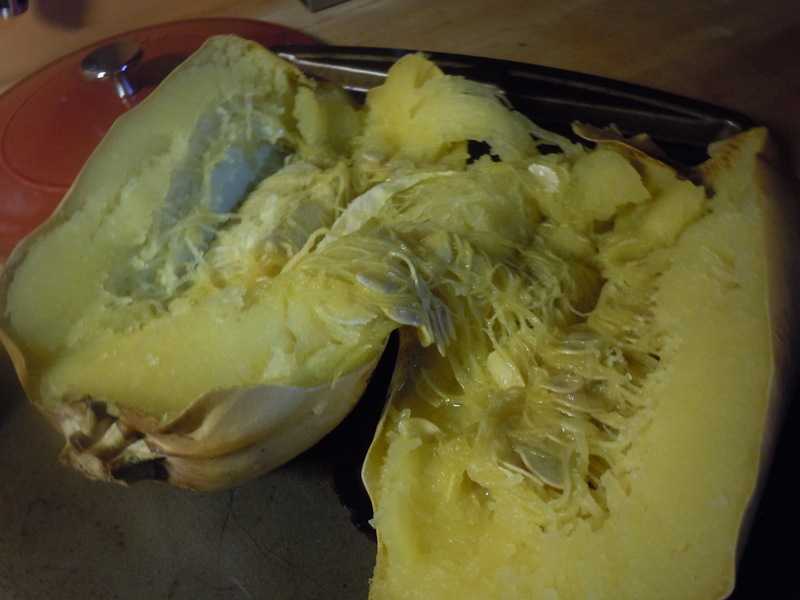 Cut it in half, scoop out the seeds and the stringy pulp. Then use a fork to shred the flesh into “spaghetti”. Cook onion, garlic and peppers in hot olive oil until translucent. 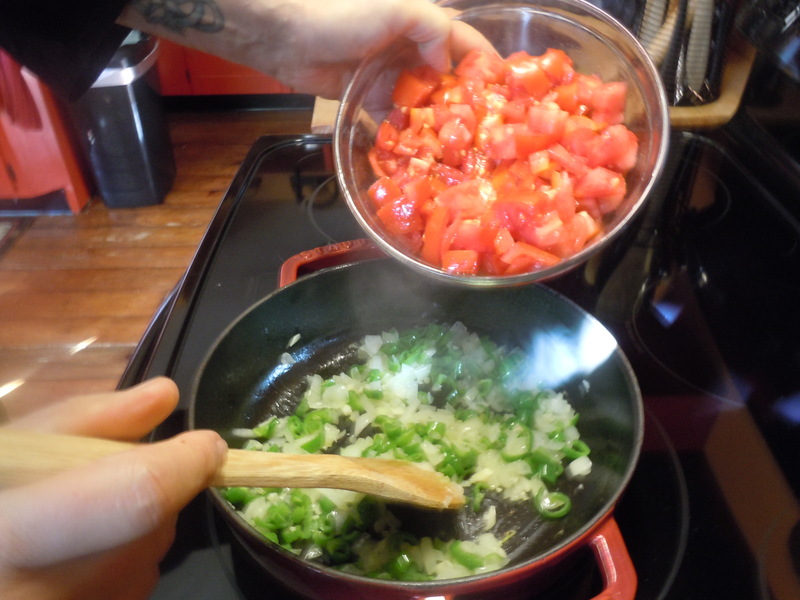 Add tomatoes, bring to a boil, reduce heat. 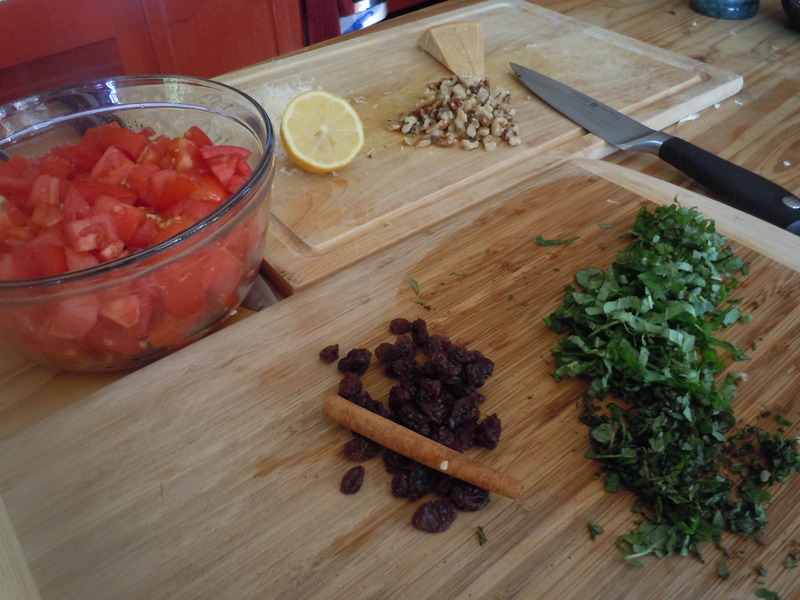 Add the cinnamon stick, raisins, basil and oregano. 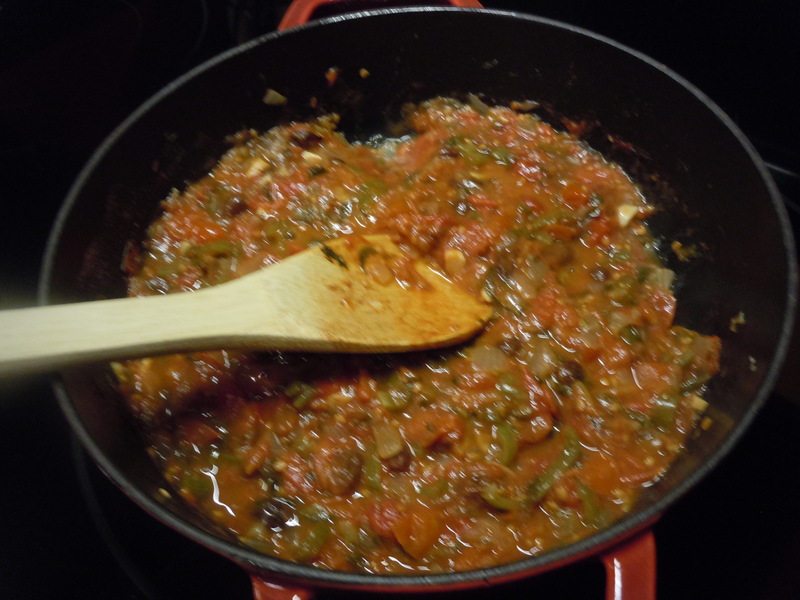 Cover and simmer about 30 minutes. 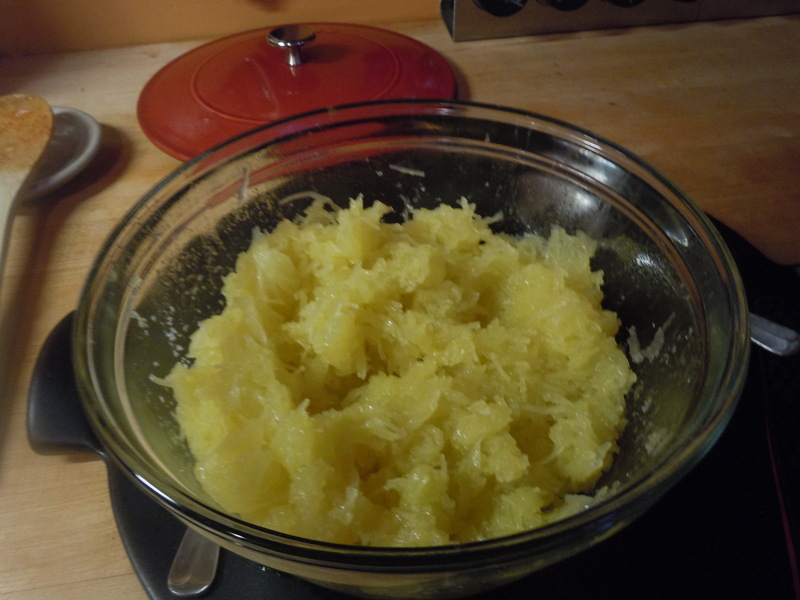 Meanwhile, use a fork to shred the spaghetti squash into a medium size bowl. Drizzle with additional olive oil and keep warm. Remove the lid from the sauce. 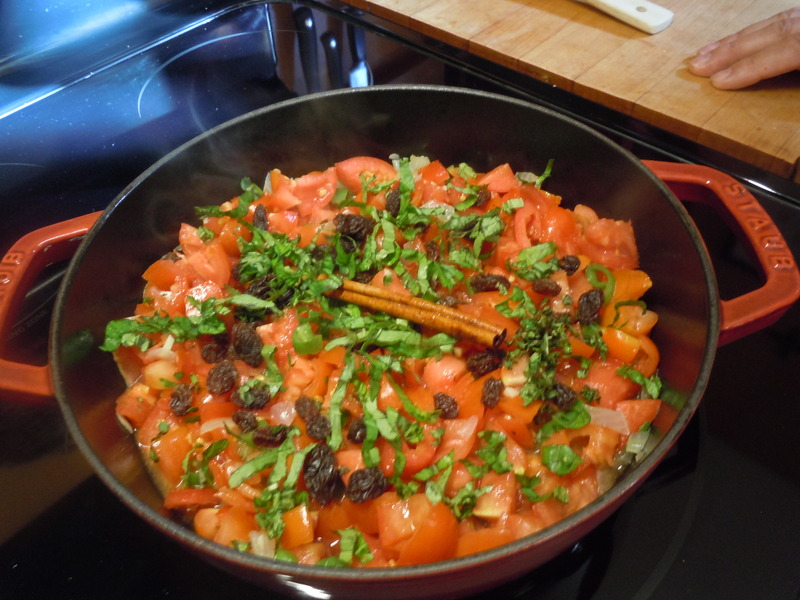 If necessary, increase the heat and cook down to desired consistency. Adjust seasoning. Stir in the lemon juice and the walnuts. Serve the sauce over the squash. If using, top with the feta cheese.